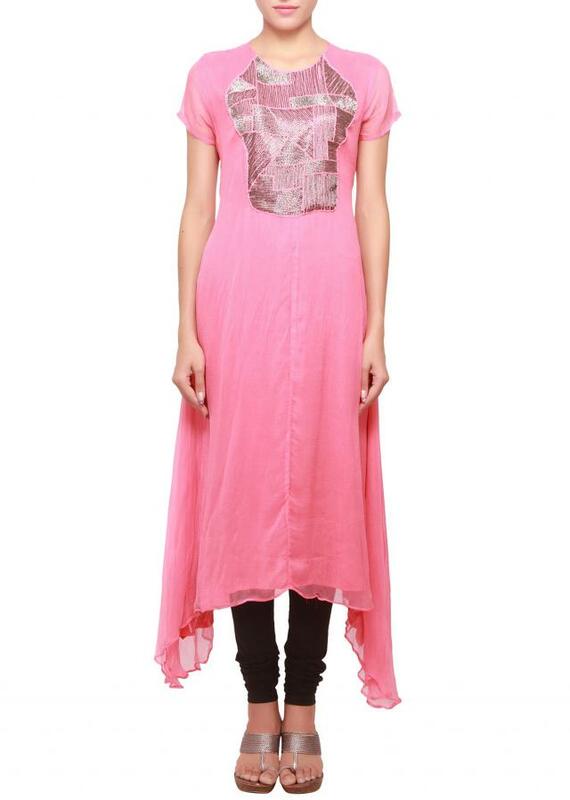 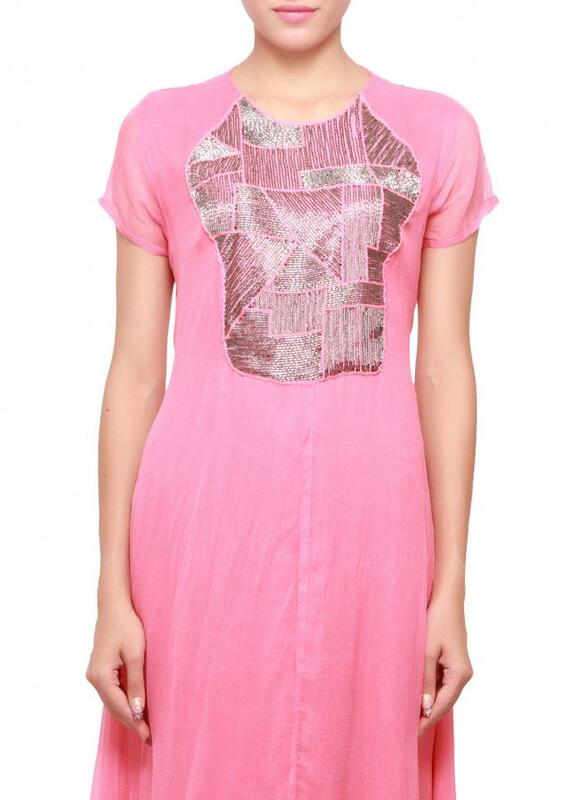 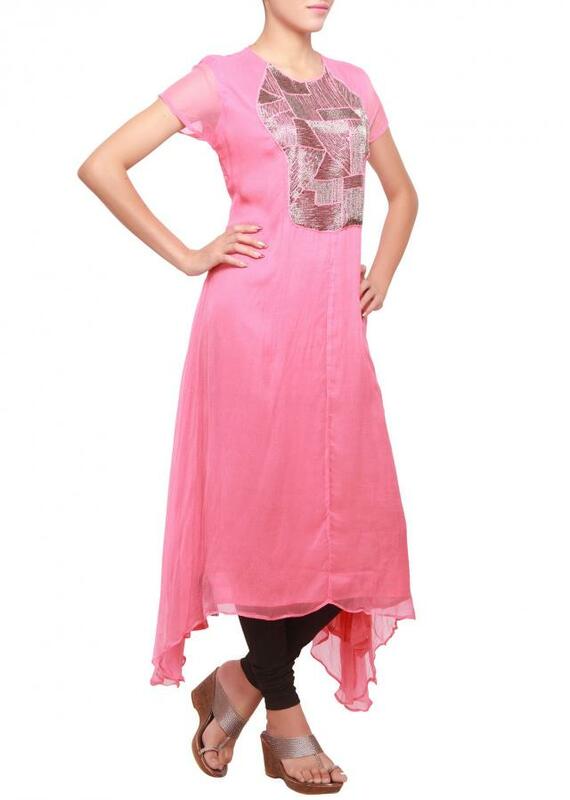 Carnation pink kurti featuring in chiffon. It has a crew neckline which is embellished in kundan embroidery. 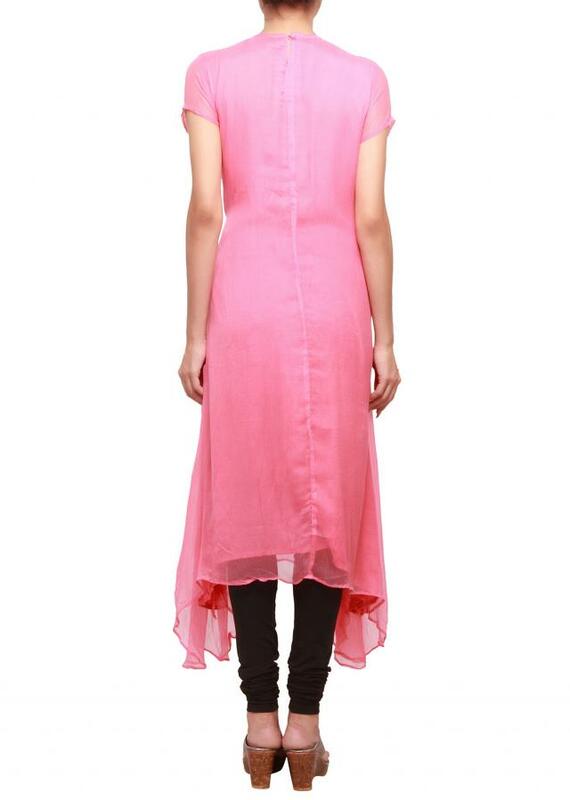 The length is 45 inches.